Two people were killed, and a third critically injured, in a crash in Calverton Tuesday night. 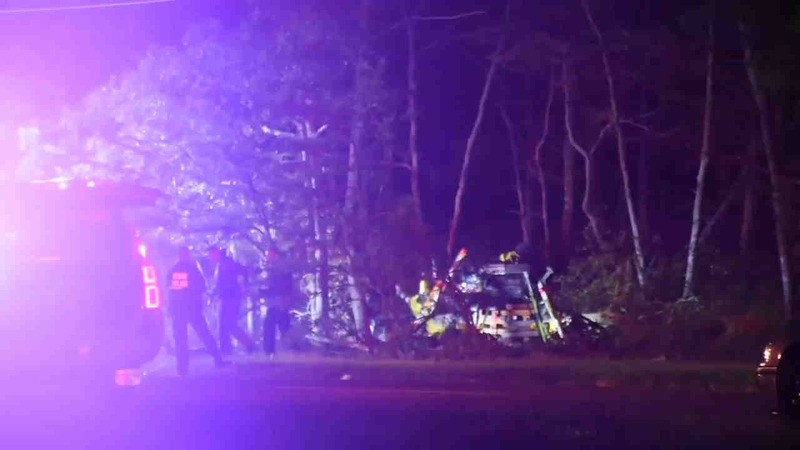 NORTHAMPTON, Long Island (WABC) -- Two men were killed and a third critically injured in a crash in Northampton Tuesday night. Zachary Powell, 20, East Moriches, was driving a 2004 Infiniti sedan south on County Road 51, south of Speonk-Riverhead Road when he lost control, and veered off the road into a wooded area. Powell, and his passenger, Christian Goody, 20, of Shelter Island, were killed. Ashley Picozzi, 19, of Saint James, who also was in the car, was airlifted to Stony Brook Hospital. She is critical. The case of the crash is under investigation. Route 51 was closed through the area. Anyone with additional information should call Southampton Town Detectives at 631-702-2230.